Hester Thrale and Samuel Johnson effectively ended their close friendship just before Hester married Gabriel Piozzi. He knows of this horrible affair!. and was proceeding to mention some circumstances which have since been the subject of publick discussion, when he was interrupted by the arrival of Dr. Douglas'2. Since I began & writ thus far, I have seen Dr. Johnson—& find he knows the whole affair! In view of Seward's revelation to her in November, this can only mean that Johnson was now aware of Mrs. Thrale's continuing passion, and probably also of Piozzi's recall. 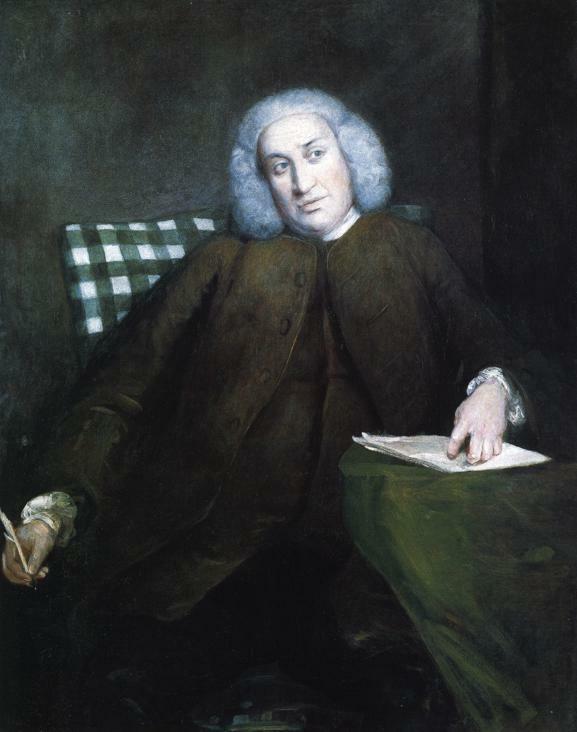 Poor Dr. Johnson was prepared, I know, for in my last visit but one he spoke to me openly upon the subject, & with a softness that much surprised me. 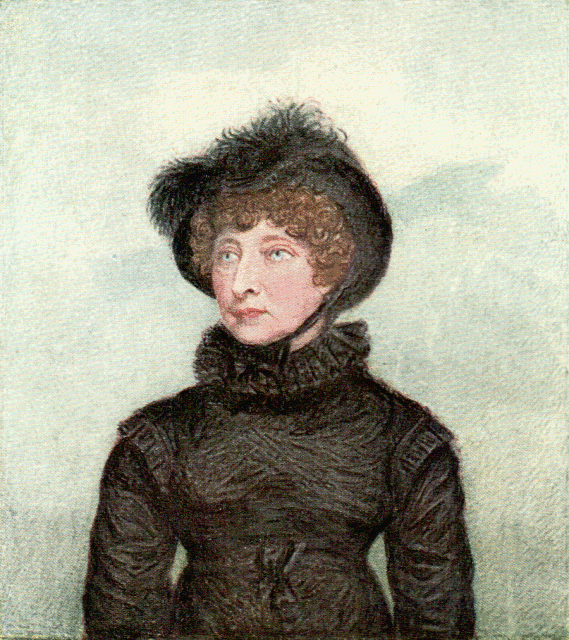 It cannot be supposed, then, that Mrs. Thrale's circular letter to the guardians, written on June 30, in which she announced her intention of marrying, took Johnson by surprise. But that he was still deluding himself with hope that the dreaded event might not take place seems equally certain. I read your letter with anguish and astonishment, such as I never felt before. I had fondly flattered myself that time had produced better thoughts. About three weeks before she married Gabriel Piozzi, when Hester Thrale wrote on 2 July 1784 about "the happiest Day of my whole life", little did she know that this was by a strange twist of fate, the day that her dear friend Samuel Johnson wrote his renowned letter of reproach to her. 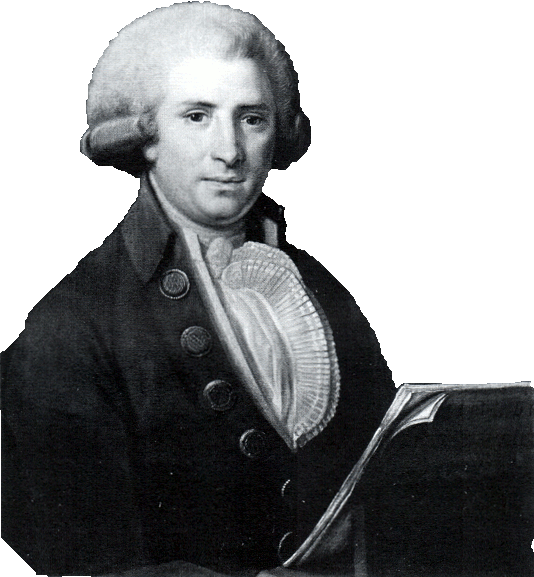 Johnson's letter reached Hester on 4 July 1784 and led to her final break with him. However this event which has subsequently received much attention is not even mentioned by Hester in Thraliana. The enclosed is a circular Letter which I have sent to all the Guardians, but our Friendship demands somewhat more; it requires that I shd beg your pardon for concealing from you a Connection which you must have heard of by many People, but I suppose you never believed. Indeed, my dear Sir, it was concealed only to spare us both needless pain: I could not have borne to reject that Counsel it would have killed me to take; and I only tell it to you now, because all is irrevocably settled, & out of your power to prevent. Give me leave however to say that the dread of your disaprobation has given me many an anxious moment, & tho’ perhaps the most independant Woman in the World—I feel as if I was acting without a parent’s Consent—till you write kindly to your faithful Servt. As one of the Executors to Mr Thrale's will, and Guardian to his daughters, I think it is my duty to acquaint you that the three eldest left bath last Fryday for their own house at Brighthelmstone, in company with an amiable friend Miss Nicholson, who has some time resided with us here, and in whose Society they may I think find some advantages and certainly no Disgrace: I waited on them myself as far as Salisbury, Wilton &c. and offered my Service to attend them to the Seaside; but they preferred this Lady's Company to mine, having heard that Mr. Piozzi was coming back from Italy, and judging from our past Friendship and continued Correspondance, that his return would be succeeded by our Marriage. If I interpret your letter right, you are ignominiously married. If I interpret your letter right, you are ignominiously married; if it is yet undone, let us once talk together. If you have abandoned your children and your religion, God forgive your wickedness; if you have forfeited your fame, and your country, may your folly do no further mischief. I will come down if you permit it. I have this morning received from you so rough a letter, in reply to one which was both tenderly and respectfully written, that I am forced to desire the conclusion of a correspondence which I can bear to continue no longer. The birth of my second husband is not meaner than that of my first, his sentiments are not meaner, his profession is not meaner—and his superiority in what he professes acknowledged by all mankind. It is want of fortune then that is ignominious; the character of the man I have chosen has no other claim to such an epithet. The religion to which he has been always a zealous adherent will I hope teach him to forgive insults he has not deserved—mine will I hope enable me to bear them at once with dignity and patience. To hear that I have forfeited my fame is indeed the greatest insult I ever yet received; my fame is as unsullied as snow, or I should think it unworthy of him who must henceforward protect it. I write by the coach the more speedily and effectually to prevent your coming hither. Perhaps by my fame (and I hope it is so) you mean only that celebrity which is a consideration of a much lower kind: I care for that only as it may give pleasure to my husband and his friends. Farewell, dear Sir, and accept my best wishes: you have always commanded my esteem, and long enjoyed the fruits of a friendship never infringed by one harsh expression on my part, during twenty years of familiar talk; never did I oppose your will, or control your wish: nor can your unmerited severity itself lessen my regard—but till you have changed your opinion of Mr Piozzi—let us converse no more. God bless you! I wish that God may grant you every blessing, that you may be happy in this world for its short continuance, and eternally happy in a better state..
What you have done, however I may lament it, I have no pretence to resent, as it has not been injurious to me. I therefore breathe out one sigh more of tenderness perhaps useless but at least sincere. I wish that God may grant you every blessing, that you may be happy in this world for its short continuance, and eternally happy in a better state. And whatever I can contribute to your happiness, I am very ready to repay for that kindness which soothed twenty years of a life radically wretched. Do not think slightly of the advice which I now presume to offer . Prevail upon Mr Piozzi to settle in England. You may live here with more dignity than in Italy, and with more security. Your rank will be higher, and your fortune under your own eyes. I desire not to detail all my reasons; but every argument of prudence and interest is for England, and only some phantoms of imagination seduce you to Italy. I am afraid, however, that my counsel is vain, yet I have eased my heart by giving it. When Queen Mary3 took the resolution of sheltering herself in England, the Archbishop of St Andrews, attempting to dissuade her, attended on her journey and when they came to the irremeable stream that separated the two kingdoms, walked by her side into the water, in the middle of which he seized her bridle, and with earnestness proportioned to her danger and his own affection, pressed her to return. The Queen went forward.—If the parallel reaches thus far, may it go no further.—The tears stand in my eyes. Any letters that come for me hither will be sent me. 1. William Seward (1747-1799), anecdotist and son of a wealthy brewer of the firm Calvert and Seward. 3. Mary, Queen of Scots, whose flight to England led to her execution. 4. The original manuscript of this last letter is dated clearly 'July 15', and bears the postmark 'Bath,' and the London date-stamp '16 July', although she was actually in London from July 11 to July 23 or 24, as her letters to Queeney during this interval show.Johnson had set out for Derbyshire on July 13, but Hester Thrale, although she knew that he intended the journey, probably did not know certainly that he had gone. It is possible that she sent the letter back to Bath to be posted, in order to deceive him as to her whereabouts and thus avoid a meeting, even after their breach had, as she thought, been healed. The wording of her letters shows that she deliberately phrased them ambiguously, that Johnson might suppose her possibly married on June 30, and certainly married on July 15, when she wrote: 'the necessity of twenty-six days Residence has kept us from being married till now.' She was not actually married until the 23rd July. 5. The signature of her last letter has been so vigorously effaced that the paper is worn through. Had she signed herself 'Piozzi', and later, when her letters were returned to her, thought erasure the better part of valour?